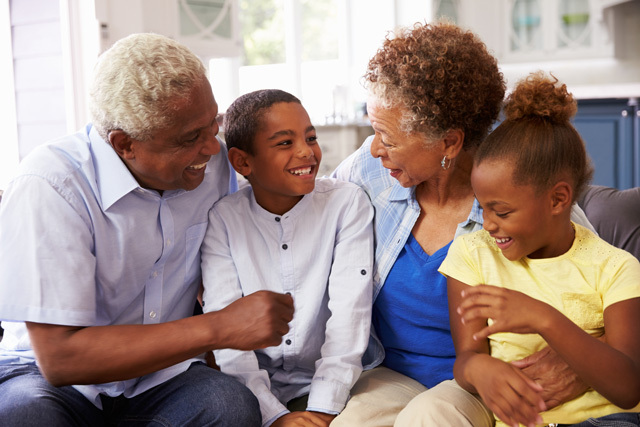 How does Flavay® affect the kidneys and liver? Does Flavay® have any contraindications? Should I consult with my doctor before taking Flavay®? Can the active ingredients in Flavay® be obtained in food? Have proper research studies proven the effectiveness of Flavay®? Is Flavay® the same as OPCs (oligomeric proanthocyanidins) in the marketplace? What is the difference between polyphenols and OPCs? Are OPCs the same as grape seed extract or pine bark extract? Is Flavay® the same as grape seed extract or pine bark extract? Flavay® is a highly specialized, nutritional complex of singles, pairs and triples of a specific molecule called flavan-3-ol, isolated from natural extracts which has been extensively tested and examined clinically for biological antioxidant protection, collagen strengthening, tissue rebuilding, reducing inflammation, improving circulation and cognitive function, and other health producing outcomes. See: What Can Flavay® Do For Your Body? What Can Flavay® Do For Your Body? Flavay® is manufactured using patented processes. Flavay® is shown to protect and benefit the kidneys and liver. 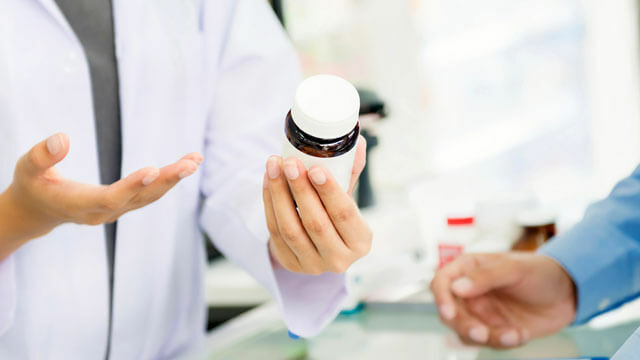 There are no known interactions between Flavay® and other medications. However, if you are taking anticoagulant drugs, be aware that Flavay® is shown to favorably normalize reactivity ("stickiness") of blood platelets. Notify your physician as dosing adjustments may be advised. Yes, always consult your doctor before starting any course of supplementation or diet change if you are under medical care. If you have or suspect you may have a health problem, you should consult your doctor. Not in our modern diet. Industrially-produced food no longer contains the active ingredients in Flavay®. See: Why can't we rely on our diet? Why can't we rely on our diet? Yes, Flavay® is manufactured using patented processes. 1948-1951: French patents described methods to extract the active principles in Flavay® for the protection of the vascular system. 1964-1965: French patents for increasing efficiency of the manufacturing process, and a medicine patent for vascular protection. 1969: U.S. Patent No. 3,436,407 for manufacturing and for vascular protection. 1970: a new French patent for manufacturing in a state of purity that conforms with French pharmacopoeia standards. 1987: U.S. Patent No. 4,698,360 to describe the powerful antioxidant properties known as the "radical scavenger effect." There are more patents, most are French. Flavay® is patented as a scavenger of the free radicals that play a major role in the degradation of collagen and in the initiation, duration and breakdown of inflammation and in ischemia (reduced blood flow). "[A] method for preventing and fighting the harmful biological effects of free radicals in the organism of warm blooded animals and more especially human beings, namely cerebral involution, hypoxia following atherosclerosis, cardiac or cerebral infarction, tumour promotion, inflammation, ischemia, alterations of the synovial liquid, collagen degradation, among others." —U.S. Patent No. 4,698,360 (1987). Yes. Flavay® is backed by 70 years of scientific research, patents, clinical studies, and extensive testing for safety. Registered in France since 1950 for use in over-the-counter medications, Flavay® has therefore been consumed in Europe under medical supervision for decades with no reports of adverse side effects. 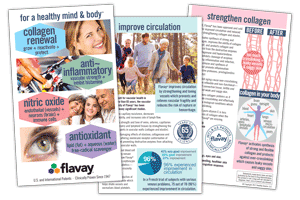 Flavay® binds to proteins (collagen and elastin)—bioflavonoids do not. Flavay® is highly bioavailable and bioactive—bioflavonoids have very poor bioavailability or none at all. Flavay® is proven very safe—many bioflavonoids are unsafe. "What is the difference between the terms, OPCs and polyphenols? In some cases it appears synonymous and in others there appears to be a distinction. On some labels it will say OPCs, but in the supplement facts, it says grape seed extract (vitis vinifera) 95% polyphenols. I am confused." It's confusing because these terms are used inaccurately in the marketplace. "95% polyphenols" is a useless expression in a scientific context. However, it does reveal a big problem. In most cases, the terms polyphenols and OPCs (oligomeric proanthocyanidins) are used inaccurately for commercial interests—or by mistake. If "Polyphenols" appears in the Supplement Facts, you may rightly question the standard. Look for whether it's standardized for single- and small-molecule (oligomeric) proanthocyanidins. 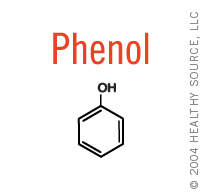 Polyphenols are chemicals (derived from plants or petroleum) with a phenol structure (shape). Most of the 100,000 types of polyphenols are unhealthy for consumption. Let the buyer be aware! There is no American industry standard for accurately identifying and quantifying products sold as proanthocyanidins in the marketplace. In most cases, the following terms are used inaccurately and have truly lost all scientific meaning in the marketplace (including product labels, magazine and internet articles, and many popular books). But the marketplace wrongly uses the terms interchangeably. Because of commercial interests—or by mistake—the terms, OPCs and proanthocyanidins, have truly lost all of their scientific meaning in the marketplace. In most cases, suppliers and retailers confuse grape seed extracts as being synonymous with OPCs or proanthocyanidins. "Grape seed extract" and "pine bark extract" are vague, nonspecific terms which really have no scientific value. In fact, crude grape seed extract or pine bark extracts are virtually worthless to the consumer—or may be harmful. Some of these extracts contain nothing more than grape seeds or other plant parts which have been pulverized in a food processor. "Certain bioflavonoids are mutagenic at high doses." Bioflavonoids sold in high doses, including "grape seed extracts" are "likely to make you sick." There is no relevant pharmaceutical, nutritional, biochemical or analytical definition of grape seed extract or pine bark extract nor is there a standardized manufacturing method. There are no commonly accepted, clear analytical fingerprints or standards for qualifying grape seed extract or pine bark extract. In fact the term is so broad and so vague that "grape seed extract" and "pine bark extract" can and does mean just about anything. Other so-called "OPCs" products contain unidentified and untraceable extracts typically labeled vaguely as "grape seed extract" or "pine bark extract." Even a trained observer is left guessing about the origin of the ingredients, method of production, and in which country and according to what standards it was produced. Other so-called "OPCs" products contain unidentified and untraceable extracts typically labeled vaguely as "grape seed extract" or "pine bark extract." Even a trained observer is left guessing about the origin of the ingredients, method of production, and in which country and according to what standards it was produced. Most producers of grape seed extracts and pine bark extracts leave the large proanthocyanidin molecules (tannins) in their products in order to bulk up the weight and then allow the consumer to wrongly believe they are consuming small-molecule oligomeric proanthocyanidins (OPCs). Consumers should also be aware that some manufacturers of grape seed and pine bark extracts have devised ways to synthetically boost the proanthocyanidin numbers for their extracts. However, there is no scientific research to show whether the human body benefits from a synthetic boost. Flavay® is manufactured under the control of pharmaceutical inspection by the French Ministry of Health. More than 70 years of scientific research, patents and clinical studies, rigorous manufacturing controls and comprehensive identity-testing safeguard the quality and consistency of Flavay®. * Results vary by person and are not guaranteed. NOTE: We do not compensate for our endorsements and testimonials. We do not consider paid testimonials to be nearly as valuable as comments from customers who were not compensated and yet liked the products so much they gave their testimonials anyway. 1. Masquelier J. Plant extract with a proanthocyanidins content as a therapeutic agent having radical scavenging effect and use thereof. U.S. Patent No. 4,698,360, 1987. 2. Masquelier J. A lifetime devoted to OPC and pycnogenols. Alfa Omega Editrice, Pub. 1996. 3. Schwitters B. Masquelier, J. OPC in practice. Alfa Omega Editrice, Pub., 1995. 45. Lesbre FX, et al. Effect de l'Endotelon sur l'indice de fragilite capillaire dan une population specifique: les sujets cirrhotiques. (Effect of endotelon on the capillary fragility index in a specific group: cirrhotic subjects.) Gaz Med France 90:24332-24337, 1983. 89. Masquelier J, et al. Flavonoides et pycnogenols. Int J Vit Nut Res 1979;(49)3:307-311. 90. Yu C, et al. Mutagenicity of proanthocyanidins. Food Chem Toxicol 1987;25(2):135-140. 91. Pantaleoni GC, et al. Univerisity of Aquila Pharmacol-Toxicologica Report, 1971. 92. Laparra J, et al. Etude pharmacocinetique des oligomers procyandoliques totaux du raisin (endotelon), Acta Therapeutica, 4:233, 1978. 93. Volkner, Wolfgang Muller, Ewald, Micronucleus assay in bone marrow cells of the mouse with pycnogenol. Cytotest Cell Research GmbH & Co., projects 143010, 143021; Feb 1989. 94. Acute and chronic toxicity tests. International Bio-Research, Inc. Hanover, Germany, 1967-1971. 178. Buckingham V, et al. Dictionary of Flavonoids with CD-ROM. CRC Press, Taylor & Francis Group, Boca Raton, FL; 978-1466554344, 2015. 179. Seewald, E. The quantification of oligomeric proanthocyanidins in the inner and outer barks of selected b.c. confiers: a thesis submitted in partial fulfillment of the requirements for the degree of masters of science. Univ of British Columbia, 1998. 180. Surangi H, et al. Flavonoid Bioavailability and Attempts for Bioavailability Enhancement. Nutrients. 2013 Sep; 5(9): 3367–3387. 188. Quideau S. Why bother with polyphenols? Groupe Polyphenols. Institut Européen de Chimie et Biologie, Centre de Recherche en Chimie Moléculaire, Laboratoire de Chimie Organique et Organométallique (UMR CNRS 5802), Université Bordeaux 1; 2011. 189. Mennen L, et al. Risks and safety of polyphenol consumption. Am J Clin Nutr. 2005 Jan;81(1 Suppl):326S-329S. 190. Baxter, NJ, et al. Multiple interactions between polyphenols and a salivary proline-rich protein repeat result in complexation and precipitation. Biochemistry. 1997 May 6;36(18):5566-77. 191. Martin KR, et al. Polyphenols as dietary supplements: a double-edge sword. Nutr Diet Suppl. 2009;2:1-12. 193. Aldred EM, Phenols, Pharmacology: A Handbook for Complementary Healthcare Professionals. Elsevier's Health Sciences. Philadelphia PA; 2009. ISBN: 978-0-443-06898-0. 194. Smith, MT, et al. "Beware of plant supplements called flavonoids; they could make you sick, warn UC Berkeley public health experts." 19 Sep 2000; Free Radical Bio. & Med. 195. Fukuoka T, et al. "Synthesis of Ultrahigh Molecular Weight Polyphenols by Oxidative Coupling". Macromolecules. 36 (22): 8213–5. Bibcode:2003MaMol..36.8213F. 196. Pizzi A, et al. "Low formaldehyde emission, fast pressing, pine and pecan tannin adhesives for exterior particleboard". Holz als Roh- und Werkstoff. 1994;52(5):311–5. 197. Yamashita D, et al. Delayed production of free radicals following noise exposure. Brain Research 2004;1019(1-2), 201-209. 198.Samson J, et al. Effect of noise stress on free radical scavenging enzymes in brain. Environmental toxicology and pharmacology. 10.1016/j.etap.2004.12.059. 246. Bohn T. Dietary factors affecting polyphenol bioavailability. Nutrition Reviews 2014;72(7):429–452. 293. Weingest K, et al. Procyanidine aus Früchten Zur Kenntnis der Proanthocyanidine. Liebigs A Chem 711, 184-204, 1968. 309. Bagchi D, et al. Protection against drug- and chemical-induced multi-organ toxicity by a novel IH636 grape seed proanthocyanidin extract. Drugs Exp Clin Res 27:3-15, 2001. 310. Ray SD, et al. In vivo protection of DNA damage associated apoptotic and necrotic cell deaths during acetaminophen-induced nephrotoxicity, amiodarone-induced lung toxicity, and doxorubicin-induced cardiotoxicity by a novel IH636 grape seed proanthocyanidin extract. Res Commun Mol Pathol Pharmacol 107:137-166, 2000. 311. Stefanovic V, et al. Reversal of experimental myoglobinuric acute renal failure with bioflavonoids from seeds of grape. Ren Fail 22:255-266, 2000. 322. "Blue light has a dark side. Exposure to blue light at night, emitted by electronics and energy-efficient light bulbs, harmful to your health." Harvard Health Letter, Harvard Health Pub., Harvard Med School. May 2012, updated Sep 2, 2015. †These statements have not been evaluated by the Food and Drug Administration. These products are not intended to diagnose, treat, cure, or prevent any disease. Copyright © 1995-2019 Healthy Source LLC. Healthy Source, LLC does not provide medical advice, diagnosis or treatment. Click for additional information.